– In this episode Scott and Trevor talk about some up-and-coming beaches and islands they’ve discovered over the years that aren’t as-of-yet overrun with tourists but are likely to be places you will be hearing about soon. Scott kicks things off by recognizing that the perfect beach is something different for everyone. For some it’s quiet and secluded, with soft white sand and nearby snorkelling and diving; for others it’s access to nightlife and shopping. Trevor joins Scott in Kuala Lumpur for this episode en route from Thailand’s Koh Samui en route to Bali. 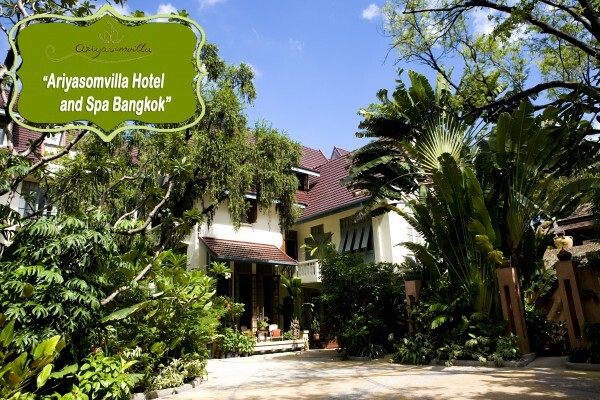 Both are famous tourist destinations, but Trevor admits, after his 16th trip to Samui that it would be worth an episode entitled ‘Rediscovering Samui’. 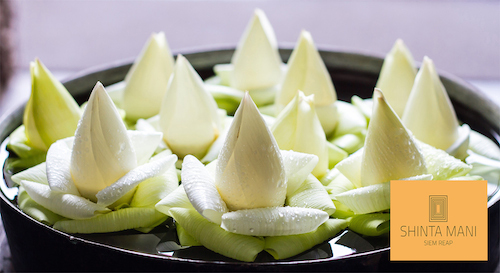 Getting off Bali’s Tourist Track: Although Trevor has been spending lots of time at up-and-coming or still under the radar locations he has been doing a lot of work in Bali. Although most tourists think that Lombok’s Gili islands are the ‘must see’ little islands near Bali, Trevor explains why he prefers Nusa Lembongan and Nusa Cenigan to the Gili’s or touristy areas of Bali. SurfIng in Sri Lanka: Scott gives listeners the lowdown on Sri Lanka’s East coast, including the beaches of Marissa and Weligama. 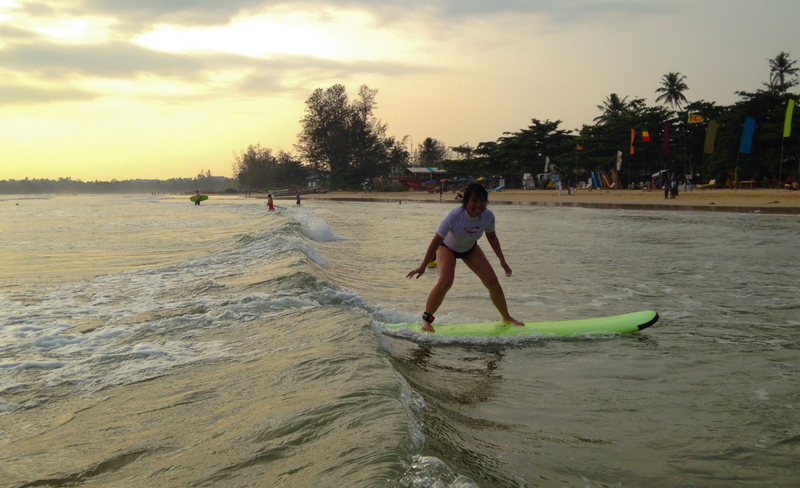 He talks about how the quiet beach of Marissa, which offers some reasonable level of development, is a quaint, yet comfortable base for exploring the area. With surfer Trevor’s interest piqued, Scott explains that Marissa has nice sand with surf that is not as challenging as at areas such as Tangalle, which can be dangerous with rip currents. Scott then talks up nearby Weligama as perfect for beginners much as he felt Waikiki was. Up-and-Coming Cambodia: Scott visited Koh Rong following a tip from Trevor, who discovered the island while researching the National Geographic guidebook around 2008. He remarks how pristine the island was when he first visited and how rapidly it has changed in just a few years: from a single handful of places to stay to now more than a dozen. 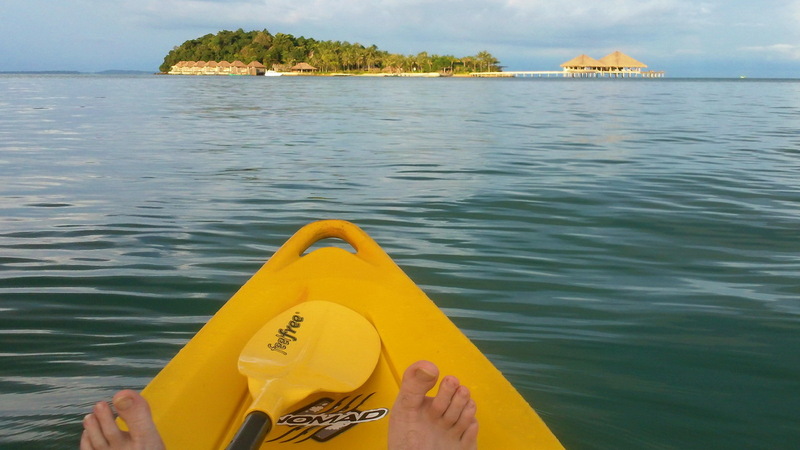 Scott talks about his day trip to Koh Rong from the tiny neighboring islands of Song Saa: the sweetheart islands. While the Bill Bensley-designed resort at Song Saa offers eco-luxury, after paddling over to Koh Rong and taking a 25 min jog on the beach, Scott discovered only two small family-style huts and thought about how different the island is going to be in a decade. Off Thailand’s Beaten Path: Trevor explains how, while updating the new National Geographic Thailand guidebook, he wanted to explore and promote less touristy beaches and islands. After driving from Phuket up to Khao Lak for a ten-year Tsunami retrospective, Trevor continued north to Ranong province and the islands of Koh Ra, Koh Phrathong, and Koh Phayam. Trevor and Scott discuss these hidden gems of Thailand including why they haven’t yet (weather and transportation) but almost certainly will become increasingly popular (undeveloped and unspoiled). Download and Listen to Episode 11 on SoundCloud or iTunes Now! Scott then brings up an area of southern Thailand that’s less off the beaten path, but still relatively undiscovered: Tubkaak Beach. Tubkaak is just north of Ao Nang in Krabi and Scott discusses the merits of this small beach area that overlooks the Hong Group of islands. 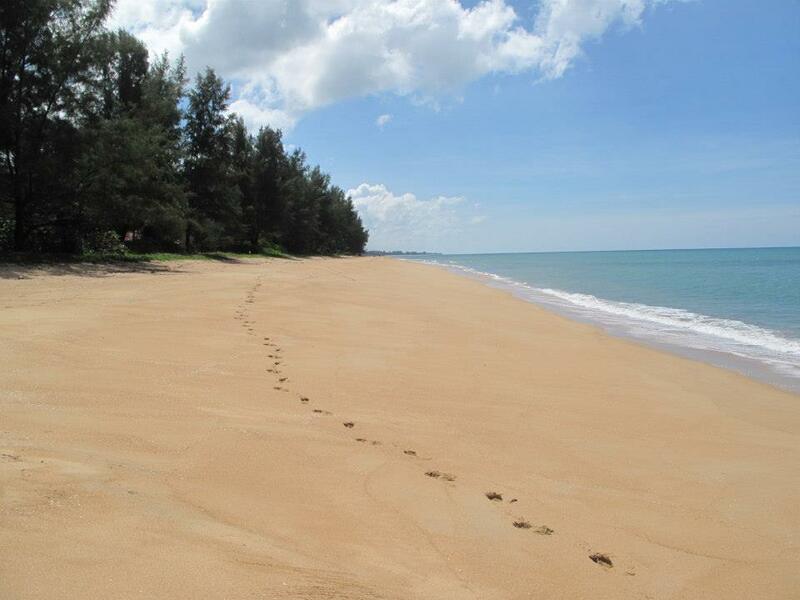 He describes it as very quiet with unreal scenery but conveniently close to Ao Nang for a night of dinner/drinks. Trevor agrees with Scott’s assessment that it’s easy to get to slice of heaven here. Sticking to the under-discovered areas of Thailand’s more developed beach areas, Trevor offers Koh Phangan’s Bottle Beach. Suggesting it’s a bit of a compromise: barely off the beaten path, and therefore convenient, but still somewhat remote, Bottle Beach offers both creature comforts and ‘rough-it’ simplicity that once was the hallmark of this now famous full moon party island. Conclusion: As the topic has varied quite widely as to what constitutes ‘undiscovered’ or ‘remote’, Scott suggests that people make a realistic assessment about what type of beach holiday they are looking for: How much time do you want to spend getting there? ; Do you want to be able to talk about the beach your friends went to, that’s famous and have that in common or are you very happy to go somewhere that no one will no where it is or be able to chat with you about post-trip? Download and Listen to Episode 11 on SoundCloud Now! Download and Listen to Episode 11 on iTunes Now! National Geographic Thailand 4th ed. 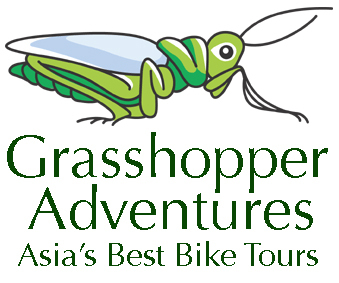 Our Sponsors: Episode 11 is sponsored by Grasshopper Adventures, provider of biking/cycling trips in Asia, and Beervana, importer and distributer of craft beers in Asia. If you’re looking for a great trip atop bicycles or drinking tasty American ales in Thailand or Indonesia, the above sponsors are as good as it gets.